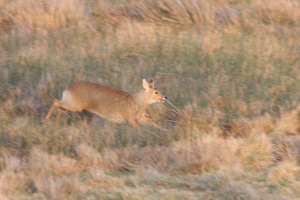 Observation - Running deer - UK and Ireland. Description: I think this is Chinese Water Deer. Ran into something with a loud bang and then ran away. I think this is Chinese Water Deer. Ran into something with a loud bang and then ran away.